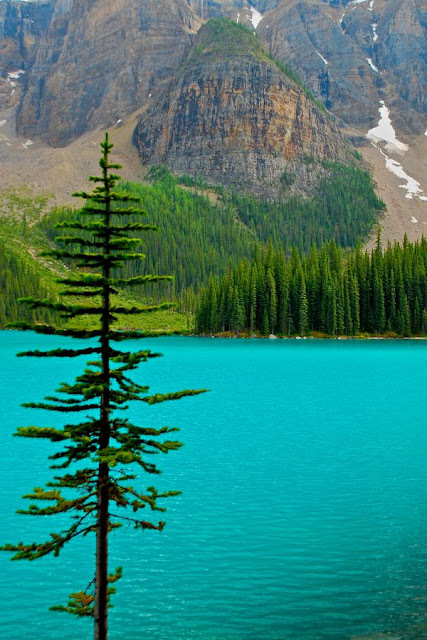 Moraine Lake is a glacially-fed lake in Banff National Park, Canada. It is situated in the Valley of the Ten Peaks, at an elevation.The lake, being glacially fed, does not reach its crest until mid to late June. When it is full, it reflects a distinct shade of blue.